Finding an activity for your child is one thing, but finding something that they enjoy and can excel at is quite another. Have You Considered Martial Arts? We are SO confident that you and your family will love training with us that we will not let anyone join without attending our INTRODUCTORY PROGRAM. You read right. Come along for a two lessons and if do not like it we will not hold it against you. We'll even let you keep the FREE T-Shirt that we'll give you. The simple fact is, there is a reason why there are so many choices when it comes to Martial Arts. Everyone has their preference. Some (if not all) want to HAVE FUN!! We want to make sure that we are what you are looking for before you sign up. The best thing about our school is that EVERYONE WANTS TO BE HERE! This makes for an amazing training environment where everyone works together to help each other reach their goals. At Diamond Valley Martial Arts Academy we have classes especially for Children, as well as separate classes that cater for Adults and Teenagers. This means that your children will be in a class that only has other kids participating, with the exception of the occasional parent that joins in with their own child (this also means that you can attend a separate class that runs at the kind of pace that will challenge an adult). Both children and adults learn from the same syllabus. Children learn at a slower rate, with extra incentives along the way, including weekly prizes for best behaved, and for demonstrating retention of what they have learned, along with certificates presented as they progress through the material required to know for each belt rank. We also encourage positive behaviour outside of class by getting feedback from school teachers and parents, regarding conduct and attitude, which goes toward each students' assessment for rank advancement. Press the BUTTON, below to book your first class. Spaces fill up fast, so don't wait too long!! While you wait for us to confirm your booking, we'll send you some more information via email (make sure you check your SPAM FOLDER). Come armed with questions. The Introductory Program is as much about us learning ABOUT YOU as it is about you learning from us. Although this is purely optional, it is by far the most common thing to happen next. Your class will cover something from every facet of our syllabus with a strong focus on safety. You will be striking focus pads, kicking shields, blocking, and doing WEAPON TRAINING! Come Along to a Regular Class. We want you to be sure. This is why we want you to try us...TWICE! Our biggest strength is our members, so we want you to meet them to see if you agree. We'll bring you into our regular class so you can see our structure and flow. This way you will get a a taste of how things work, while also seeing how easy it is to learn. If you are still convinced that you want to join us after you second class, you can take advantage of our special offer, and we will plug you into our regular classes straight away. Our culture is amazing and you will love being a part of it. Before you know it, you too will long for your next training session, even if it is just to see your friends. Q.What are the advantages of training in Freestyle Combat as opposed to a traditional system? A.Freestyle Combat blends modern principles and concepts, concentrating on defensive strategies for today’s society. We also use today’s sports science concepts when warming up and in our training methods. Freestyle Combat is also user friendly, giving our members the important skills to enjoy life. Q.How long are your contracts? A.At Diamond Valley Martial Arts Academy, we take personal responsibility for you wanting to stay. With this in mind, we DO NOT lock our students down with contracts. If you decide to quit tomorrow, we stop taking your money. Simple as that. We only ask that you tell us why you want to leave so that we can have a chance to fix what you didn’t like. Q.Are there family discounts available? A.DVMA has generous family discounts as we see ourselves as a family orientated club. We want to attract families and make training as affordable as possible. We will explain out fee structure when you attend your first Introductory Class. Q.Do you encourage your students to enter Martial Arts competitions? A.No. Freestyle Combat is a true self-defence system, and is not a sport in any way or form. 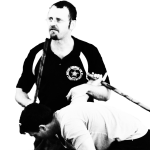 Our goal is to teach members to defend themselves in today’s violent society, not to compete in tournaments using techniques that could get you hurt on the street. That being said, we do not disallow students from competing if they so desire. Q.How many sessions per week can I train? A.We recommend training twice a week, and so your training fees cover two classes per week and two make up classes per month. Our weeknights is broken up into separate classes for Young Children, and for Adults/Teens divided up by rank, while Saturday morning is open to all. Students can train at any session that their age and rank qualifies for. A.Look, any physical activity can lead to injury whether your walking or playing basketball or training martial arts. The thing is our trained experts take care to protect our students from injury. In fact, since our beginning no one has ever been seriously hurt. Training in martial arts will lead to you being more flexible, balance and aware of your surroundings. This tends to result in our students actually avoiding injury in everyday life. Q.I have never done anything like this before, and am worried that I won't be any good? A.Congratulations! You are our favourite kind of student. It is hard to learn something new if you already think that you know what you are doing, and even harder to teach someone like that. Every journey has a beginning, and at Diamond Valley Martial Arts Academy, we would consider it a honour to be there for you as you begin your martial journey. We will let you go at your own pace. In fact, the slower you go, the better. Slow is smooth, smooth is fast, so therefore SLOW is actually FAST. The benefits progressing slowly are twofold. As well as not forcing your body to perform something that it isn’t ready for, developing slowly dramatically increases your chances of developing technical prowess, enabling you to be in full control if you ever need to defend yourself in real life. Q.How fit do I need to be? A.The beauty of what we teach is that it can evolve around your needs. Elite fitness is not required, however the more you put in, the more you get out. For some, focusing on good body mechanics can result in devastating efficiency in technique, while others developing ballistic fitness can lead to extreme power and endurance. In short, someone with high fitness levels can apply themselves in order to be challenged, while those who are not as fit can pace themselves and still keep up. A.Certainly not. Our training focuses on teaching you to protect yourself and your loved ones from violence. Statistically, people who train in martial arts are less likely to end up in violent conflict. They do not tend to feel the need to prove themselves with violence, as well as giving off an air that silently communicates to others that they are not someone that you would want to mess with. We will teach you how to shut down a violent confrontation peacefully, with physical techniques only being used when absolutely necessary. Traditionally, martial arts were developed not to hurt others as much to protect those we care about. Q.How long will it take me to get a Black Belt? A.Short answer, it depends totally on the individual, how many sessions per week a person trains and at what pace the person learns. There are five belt tests per year with no minimum amount of time between coloured belt testing until completing intermediate ranks. From white to black belt there are five beginner ranks, four intermediate ranks, and two advanced ranks. 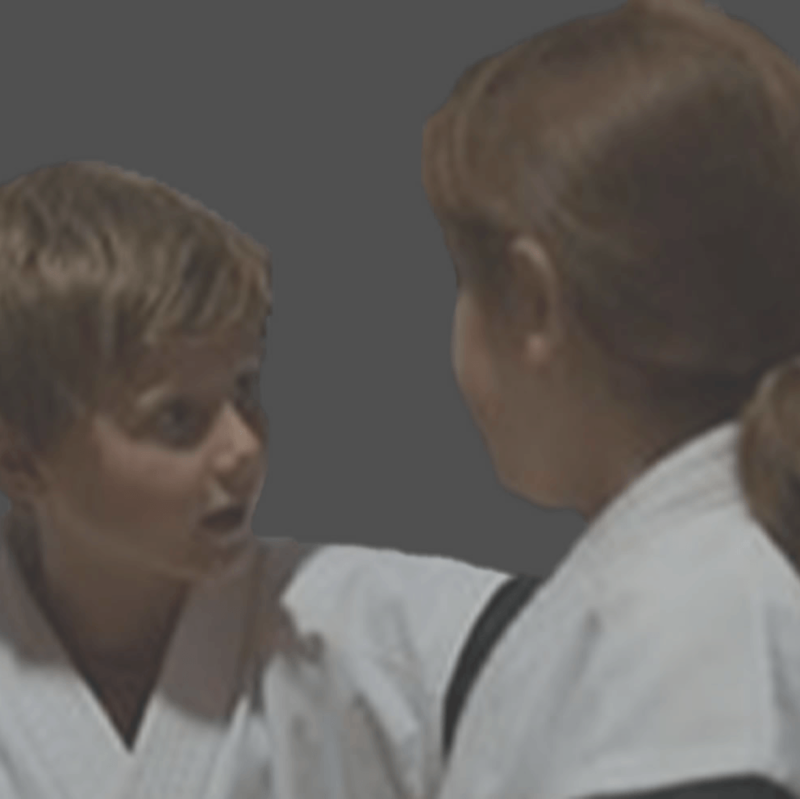 Having completed all coloured belt tests, the student will then prepare for their black belt. This preparation time varies between individuals as each student is observed with regards to their progress to see when they are ready. The black belt tests are held once year, and are undertaken over five weeks where the student demonstrates their knowledge of the entire Freestyle Combat syllabus and level of fitness through drills, application of techniques and contact sparring. Clubs that promise black belts in a certain amount of time are not caring for the best interests of the students. People learn at different levels, and although a black belt is a goal for many starting in the martial arts, you need to be able to demonstrate your knowledge and application of the techniques in order to progress through the ranks. There is no point in being a black belt, but having little understanding on how to actually apply what you have learnt. 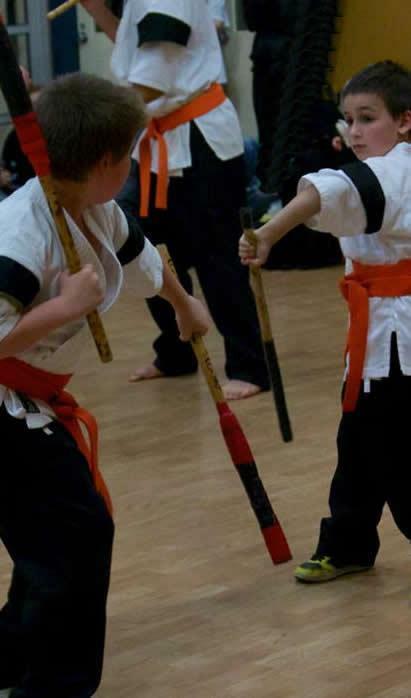 Since our beginning we have been working hard to deliver practical Martial Art education which is effective and easy to learn. Come and see the difference and take the first step to earning your Black Belt.